Want to write inportant notes to your calendar? 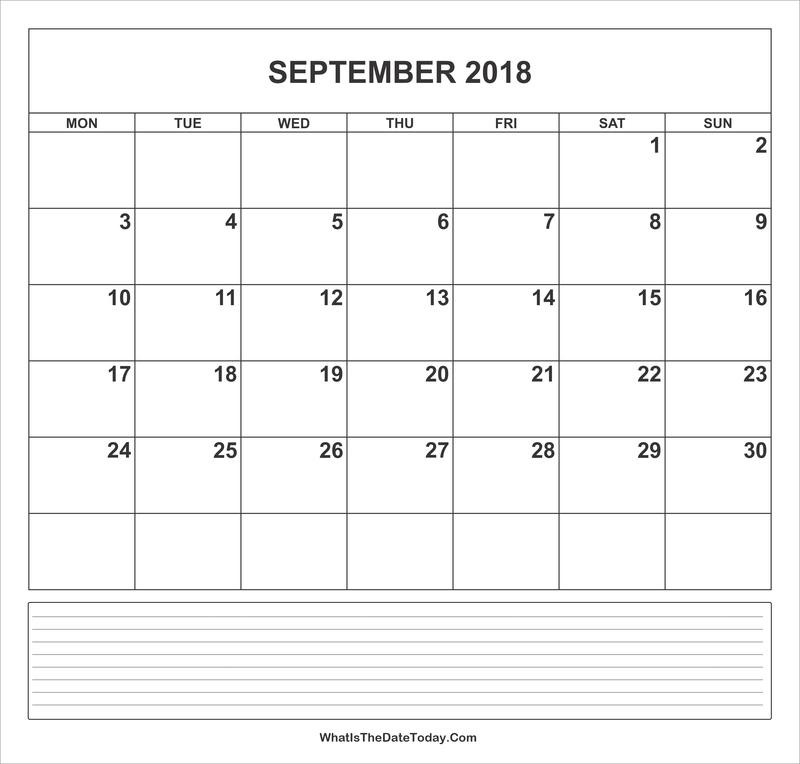 This Calendar September 2018 with Notes space is for you. 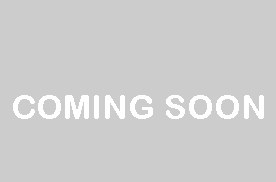 It is suitable for a monthly planner and use at school, home or offices. List of september holidays, local holidays and national observances. Looking for other september calendar in a different style or layout? We have a large variety of 2018 september calendar templates for Word, Excel & PDF to download and print. 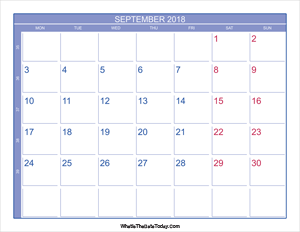 2018 september calendar with week numbers.